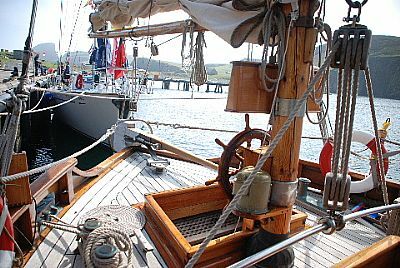 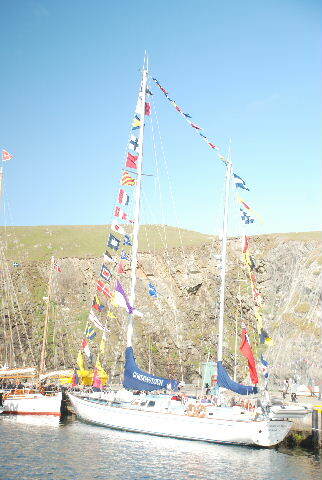 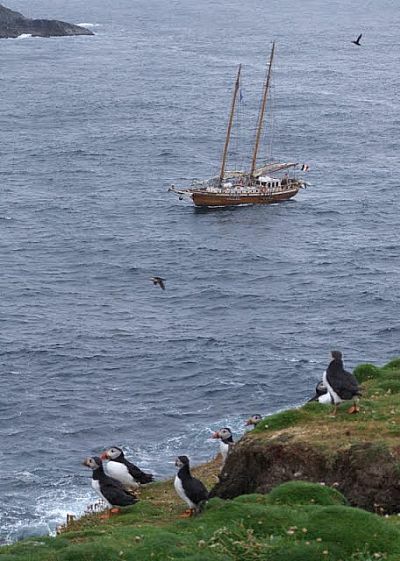 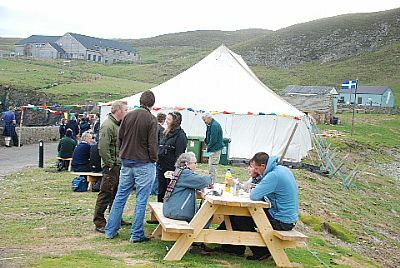 In July 2011, Fair Isle was a guest harbour for Cruise In Company making it an official port of call in the Tall Ships Race. 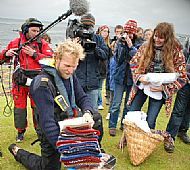 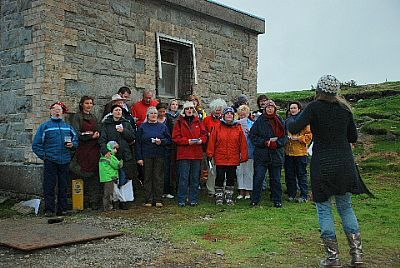 To mark this occasion the isle organised a two-day festival around its rich cultural heritage, offering talks, a rolling slideshow, guided walks, demonstrations of craft and artwork, tours of the museum and lighthouse, a children’s workshop, bartering of hand-knitted keps (traditional Fair Isle fishermen’s hats), lunches in the hall and an evening barbecue on North Haven beach accompanied by music from the talented local musicians and choir. 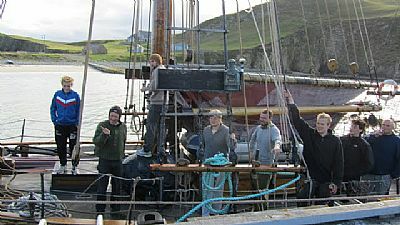 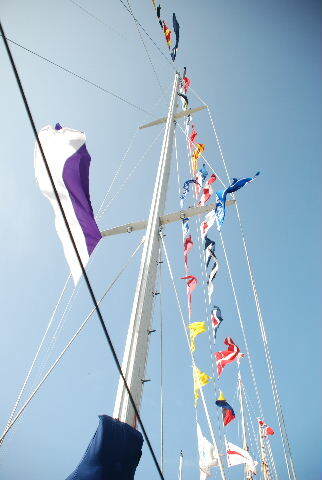 Feedback from the visiting crews was that it was the best and most welcoming of all the venues they had visited. 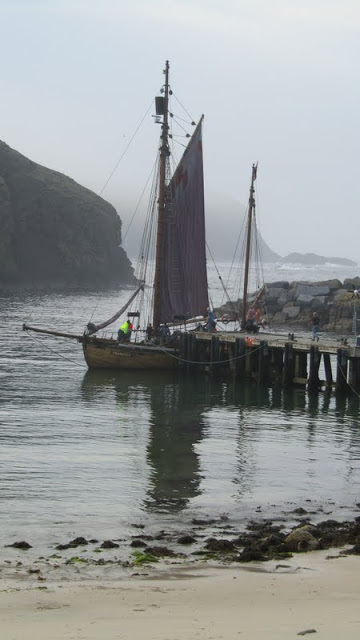 A series of stop-frame animations taken from drawings and music sessions held during the workshop with local children and the school culminated in an animated film entitled ‘When the Tall Ships came to Fair Isle’. 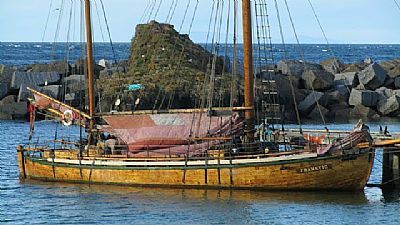 The film can be viewed on-line at http://vimeo.com/28191928. 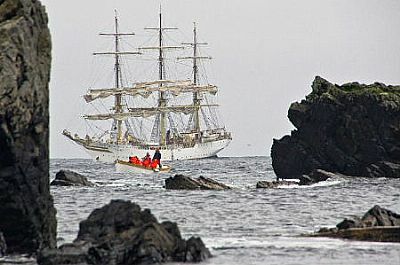 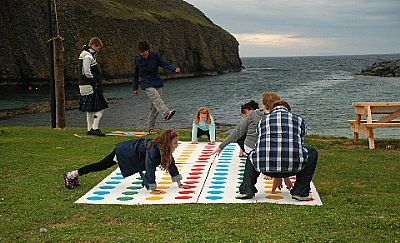 FAIR ISLE TALL SHIPS EVENT, JULY 2011. 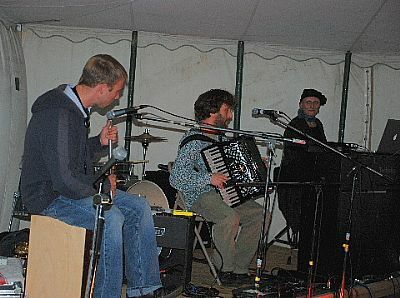 Musical entertainment in the evenings - Fair Isle musician and composer Inge Thomson with husband Martin Green (LAU) on accordian. 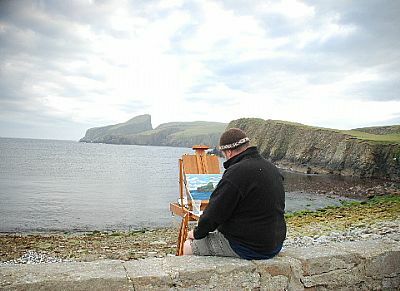 Fair Isle artist and photographer, Tommy H Hyndman enjoying the fine weather and the magnificent view of Sheep Craig.